Will you be able to create the monument or perish in the attempt? Monstrosity Map 1.8.1 is a map of CTM style (Complete The Monument), which poses the challenge of finding around a map full of traps and challenges, a total of 12 Cores Purity. These will be scattered around the map, so in addition to survive, exploration will be your ally for completing the monument. This map is intended and designed to be played by 1-4 players. It is considered of medium difficulty and the author suggests to play this map you being entertained about 20 hours. 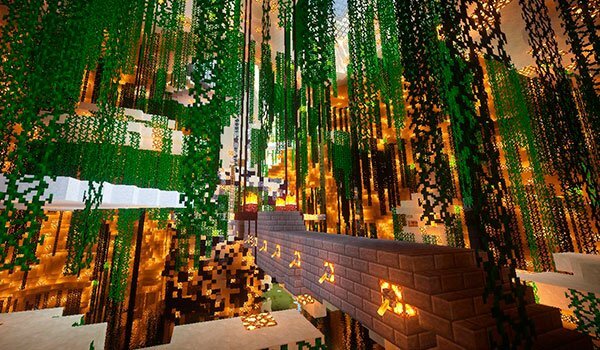 How to install Monstrosity Map for Minecraft 1.8.1? Paste the downloaded map into the “saves” folder. Complete the monument or die!